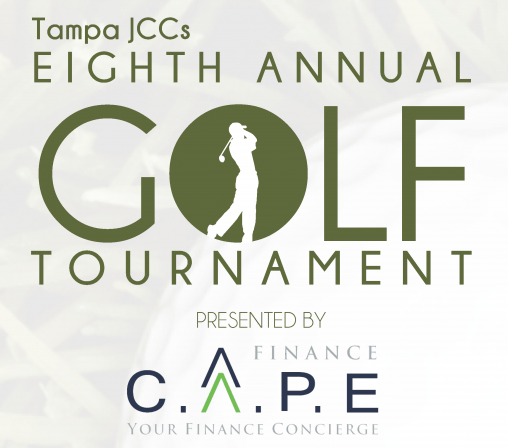 The Tampa Jewish Community Center’s & Federation invites the Tampa Bay community to” Tee Off” at its Eighth Annual Golf Tournament presented by Finance C.A.P.E. 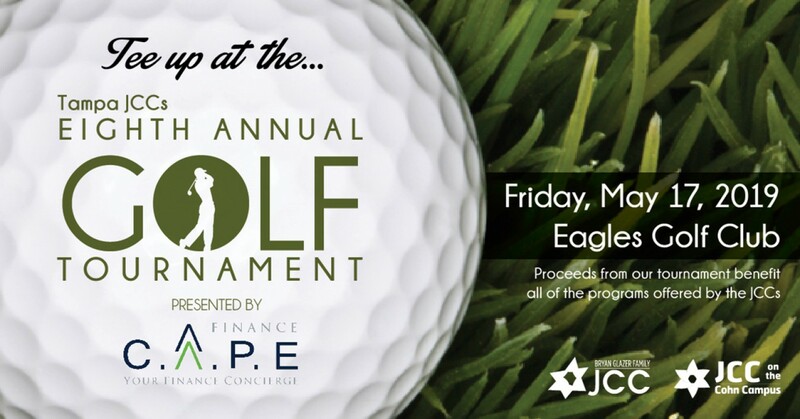 on Friday, May 17th at the Eagles Golf Club Tampa, FL. The tournament day starts at 8:00 AM with registration and a continental breakfast. Shot gun start is 8:30 AM and the format is an 18 hole scramble. Those wishing to participate can register as a single golfer, a foursome or at a sponsorship level. The entry fee is $100.00 per player or $400.00 to sign up a foursome. The entry fee includes 18 holes of golf, Bloody Mary Bar & Welcome Brunch, drinks on the course, dinner and dessert and gift bag with t-shirt. 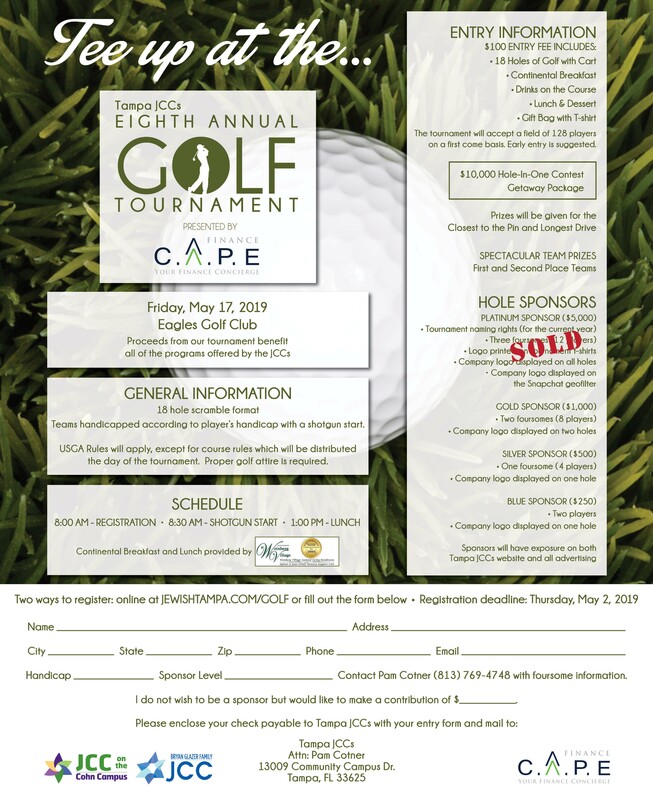 There will be many prizes and raffles including our famous Getaway Package and a chance to win the $10,000 hole in one contest. You may register online at jewishtampa.com. Deadline to register is May 2, 2019. Silver ($500) includes one foursome and signage on a hole and Blue ($250) includes two players and signage on a hole. 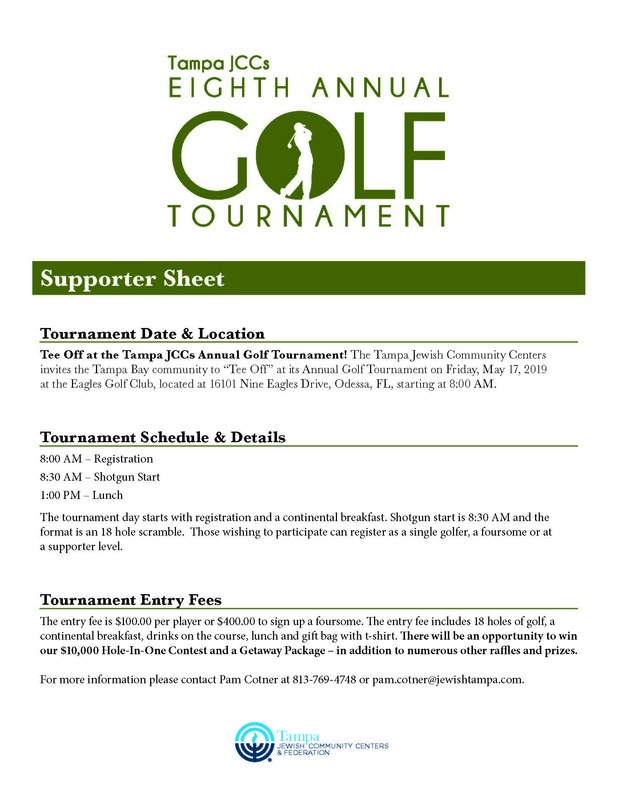 For more information please contact Pam Cotner at 813-769-4748 or pam.cotner@jewishtampa.com.